Today’s post is about the liver. The liver is the largest organ inside your body and belongs to the Digestive System. It is located in the upper right quadrant, just below the right breast spanning down towards the rib cage. Many find the Digestive System easy to understand because we interact with it so often. The Digestive System’s main function is to breakdown the food and liquid we ingest, so the body can absorb its nutrients. Specifically, the liver regulates the level of sugar within the blood, converts fats to a usable form in the body, and traps and breaks down toxins into non-poisonous substances. Coupled with the liver, I also work on the kidneys, pancreas, and stomach. The reason being is they are organs directly related to the digesting our food and filtering the bloodstream. While I treat the liver, I place both hands on the anterior (front) of the body above the organ location. An alternative position would be to place one hand on the anterior (front) and the other on the posterior (back) of the body to reach the right kidney. I hope this basic education will help you when treating yourself, friends, family, or others. I want to begin a series of posts about the human body’s organ systems. This week, I will be introducing the Urinary System. I will begin by discussing the basic function of the system and the organs that are found in the system. 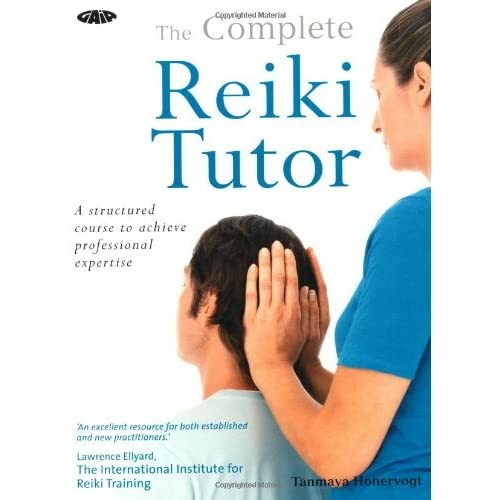 then I will explain how I utilize this knowledge when giving Reiki. The Urinary System’s main function is to filter the body’s blood from nutritional and waste products. So, the foods, beverages, water, or whatever you inhale taken in to your body, is processed and added to the bloodstream. Eventually the nutrients in the blood end up at the kidneys. If your body does not use the nutrients that you have ingested to build up the cells in your body or for storage, it is considered waste. The main organs in the Urinary System are the kidneys, bladder, ureter, and urethra. Each organ has a specific function to reach the overall goal of filtering your body system. Blood circulates through your body carrying nutrients and waste. When the blood reaches your kidneys, the blood is filtered. This means that whichever material is in your blood; glucose, water, sodium, potassium, etcetera, is separated into good (nutritional) and bad (non-nutritional). All the bad is taken from the kidneys into the ureters, tubular pathways that connect to the bladder. From the bladder, the bad, also called waste, waits in this “holding tank” until there is enough for you to excrete through urination. Finally, the passage way from the bladder to the external world – the toilet – is the urethra. While I treat the Urinary System, I place both hands on the anterior (front) of the body above the organ location. An alternative position would be to place one hand on the anterior (front) and the other on the posterior (back) of the body. For example, if I am treating the kidneys, I can place my hand above and below of the right kidney, then of course on the left to balance the energy received by the kidneys. Last month I had the opportunity to treat the lead singer of a metal/ rock band. Prior to receiving Reiki, the singer mentioned that nerves were setting in for the music gig later that night. When someone reveals to me that they are nervous, I know that I must work on their solar plexus, or control chakra. By balancing the energy at the solar plexus, I aide in changing the anxious and busy energy to more calm and grounded energy. For this treatment, I placed my hands on the solar plexus, which is the upper abdominal area. I kept my hands there for several minutes. When I felt the pull of energy through my hands dissipate and the need to stay at the solar plexus decrease. Since this person was a vocalist in a metal/ rock band, I also knew that I needed to bring energy to the organs that physically work during voice production. This meant I needed to divide the treatment time between the vocal box, or larynx, all lung lobes, and diaphragm. By choosing these organs, I was sure to help the singer use the muscles properly, so the air would move through their lungs and wind pipe. I am glad to understand the physiology of voice production so that I was able to help this singer. Learn about daily activities and the mechanics of our anatomy that produce those daily activities. It will help when you begin treating yourself and others.